InterNations Bristol April Official Event at the Lost & Found! 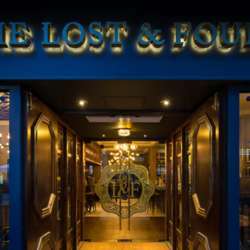 This is our April official event and it will take place at the Lost and Found- in a secret bar with its own private bar and bartenders! So come and join us this month, to enjoy a lovely evening at this new amazing location with our InterNations Bristol Community! This event is the perfect opportunity to meet new people, chat with old friends and enjoy a grab a drink. We will meet at 20:00 on Friday, 26 April at the Lost and Found, situated in the area of Clifton. This get-together is a chance to know your fellow InterNations members a little better, mingle, connect and give our new arrivals a warm welcome.